The idea behind Google's adhesive coating: Keep pedestrians from suffering further injury. Yes, this looks like an item from The Onion, but the San Jose Mercury News assures us it's the real deal. 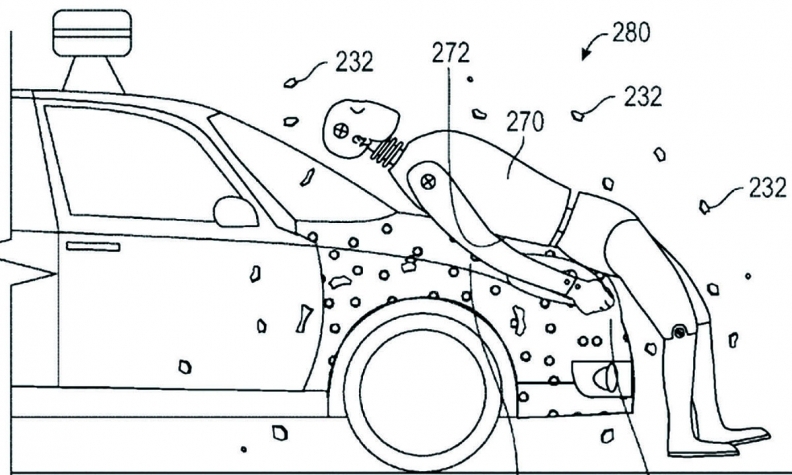 Google has been granted a patent for an adhesive coating on the car hood so that any pedestrian who gets hit would stick to the vehicle until the motorist stops. According to the newspaper, the idea is to prevent injuries that can occur when the pedestrian bounces off the car onto the street or into another vehicle. An eggshell-like surface would cover the stickum during normal use, but it would shatter in an accident, exposing the glue. "The adhesive layer may be a very sticky material and operate in a manner similar to flypaper, or double-sided duct tape," according to the patent, as quoted by the Mercury News. "The adhesion of the pedestrian to the vehicle may prevent the pedestrian from bouncing off." A Google spokeswoman told the newspaper that the company will not necessarily produce sticky hoods.